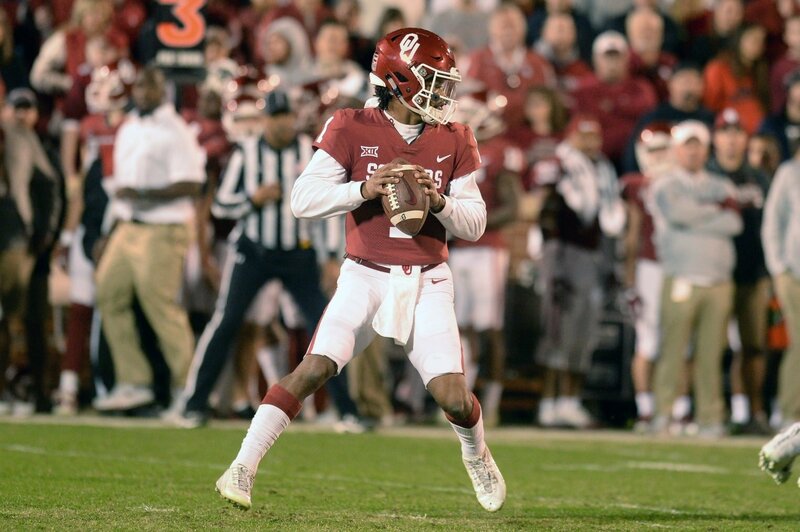 Already up by three points early against Iowa State, the Oklahoma Sooners threw down the gauntlet when Kyler Murray connected with Hollywood Brown for six. Murray made an absolutely perfect throw deep down the middle of the field on a play-action pass, hitting Brown in stride. The speedy, talented receiver did the rest making his way to the end zone for the magnificent 75-yard score. This touchdown gave Oklahoma a 10-0 lead over the Cyclones, who as you might remember pulled off a huge upset win last year against the Sooners.